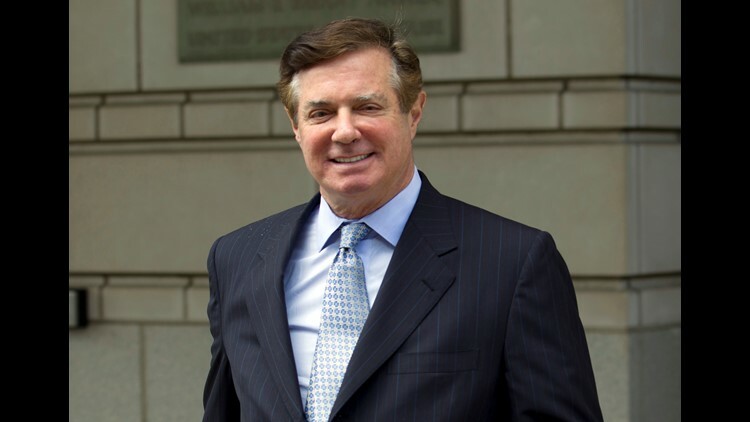 Paul Manafort, President Donald Trump's former campaign chairman, leaves the Federal District Court after a hearing, in Washington on May 23, 2018. Former Trump campaign chairman Paul Manafort's cooperation with special counsel Robert Mueller can't be a good thing for President Donald Trump, commentators said Sunday. "Manafort is a key person to help us unwind whether this is the most unlikely string of improbable coincidences or whether this is an active conspiracy," said California Rep. Adam Schiff, the ranking Democrat on the House Intelligence Committee. Schiff, a former prosecutor, told "Meet the Press" host Chuck Todd on Sunday that Manafort's convictions, and eventual decision to cooperate, send the message to those "in Bob Mueller's crosshairs right now: You better get to the special counsel and make your deal now." "Anyone who gets indicted by Bob Mueller goes down," he said, adding that the "longer you wait to come clean, the worse it's going to get." Whether or not Manafort shares everything he knows and truly cooperates remains to be seen, he said. Norman Eisen, who acted as ethics czar for former President Barack Obama, said on "ABC This Week" that because of the strong case against Manafort, Mueller would not have offered the deal "absent some very powerful evidence." "You only get a deal like this if you go up the chain. Who is up the chain from Paul Manafort, who was the chair of the Trump campaign?" Eisen pondered. "Don Jr., Roger Stone, the campaign itself and perhaps, ultimately, the president," he concluded. Ken Starr, the former judge whose work as independent counsel led to the impeachment of President Bill Clinton, agreed. Opinion: Paul Manafort plea is new proof that Mueller is Trump's worst nightmare. He's on to him. "It is very likely that Paul Manafort has indicated through his counsel and directly that he can provide very helpful information, useful information to get to the bottom of what Bob Mueller and his team have been charged to do," Starr told "This Week" host Jonathan Karl on Sunday. "So it is a very significant breakthrough." Trump attorney Rudy Giuliani slammed the talking heads in a tweet for ignoring a "clear statement" from Manafort's lawyers that he is not cooperating against Trump and a statement that "there was no collusion." "It is pathetic," the former New York City mayor tweeted. "How biased they are! What’s new?" Morning shows all ignore clear statement from Manafort team that there is no cooperation against the President and a statement “there was no collusion.” It is pathetic: how biased they are! What’s new? The tweet repeats a claim Giuliani made Saturday about "sources close to Manafort defense" who telling him that the plea deal "does not involve the Trump campaign" that there "was no collusion with Russia." Experts pointed out that the plea deal explicitly says that "no agreements, promises, promises, or representations" were made outside of what is contained within that Sept. 14 written agreement. The agreement also calls for Manafort to "cooperate fully, truthfully, completely, and forthrightly" in "any and all matters" the government "deems the cooperation relevant." Nowhere does the document exclude the Trump campaign or the president from that cooperation. "I don't understand how you can say that the deal is limited," former Harvard Law professor Alan Dershowitz told NBC's Todd. "The deal, as I understand it, says that Manafort will cooperate about anything that the special counsel asks him about. There are no limits." "I understand why Rudy Giuliani, who's a good lawyer, wants to put this in the most positive light, but this was a very bad day for the Trump administration," Dershowitz continued. "When you don't know what a cooperator is saying, then it's a bad day for you because you're vulnerable and exposed." Todd asked Schiff about another comment from Giuliani that Manafort was "not disqualified" from a presidential pardon. Schiff replied that it showed that "clearly, the Trump team is terrified about what Manafort might have to say." Trump hasn't specifically mentioned Manafort on his Twitter feed since the deal was announced, but in between messages about Hurricane Florence, the president squeezed in several posts condemning what he calls the "Rigged Russian Witch Hunt." He said that with "the best ever" economy, his poll numbers "would be 25 points higher" if not for the "highly conflicted Bob Mueller" and his investigation. He also said the "Mueller Witch Hunt continues in search of a crime" and said there "was never Collusion with Russia, except by the Clinton campaign."